Happy Monday everyone! Guess what? There was a massive blizzard here in the city over the weekend and it's slushy everywhere. Spring and Winter still just can't make up their minds! I had fun splashing in the puddles and almost slipping on the sidewalks a million times.. hope your weekend was better! This week I've got an amazing shade of polish to share that I received in my February Topbox. 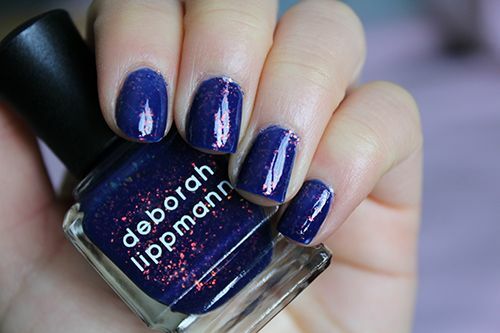 Deborah Lippmann's Ray of Light. 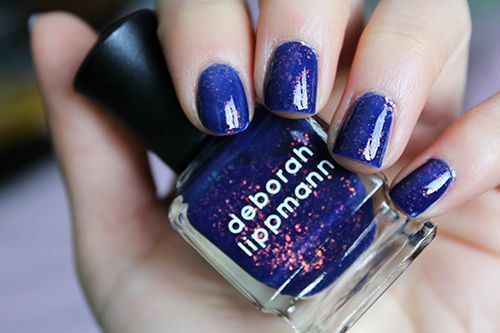 It's described as an indigo polish with a 3D holographic finish, and I would say thats almost spot on. The indigo base has a jelly-like consistency to it - a little thicker than normal, but easy to control and with a certain transparent quality to it. The holographic flakes in the polish flash from orange to green, and copper to red. It's absolutely gorgeous, and two coats will bring it to near full opacity. Wear time was up to 5 days chip free, and it maintained a beautiful shine throughout the time I wore it. I couldn't stop looking at it! This polish can probably be duplicated by wearing a dark indigo polish, and topping it off with a flakie polish like Essie's Shine of the Times! that nail polish is gorgeous! it's so unique. looks lovely on you andrea. the weather is crazzzzy! it's chilly, tomorrow it's raining and the next day 70 degrees. go figure! I swear.. global warming is out to get us all! It's perfect. i wish that brand is available here in the Philippines. And yes, I'm following you now! Mind to follow back? 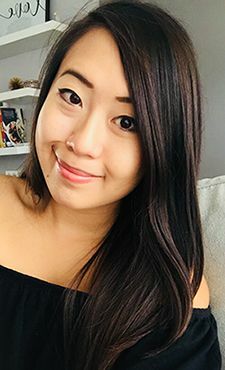 Andrea, this is so pretty, I had to pin it. Aw, thanks Jo! You could do a similar look with the Shine of the Times I sent you! oooh! that is such a pretty color. I really like all the little holographic flecks. Do you think it's worth the investment though? 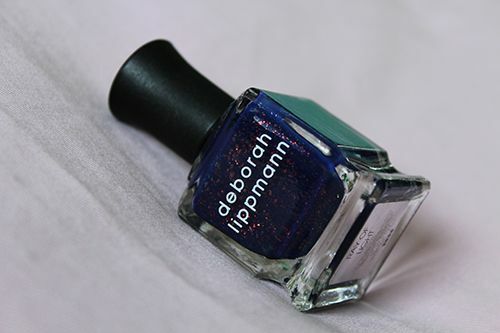 Deborah Lippmann polishes aren't exactly cheap and 5 days of wear isn't that long. so lucky you got this in a box! Love this color! I like how you described it as holographic flakes in the polish flash from orange to green, and copper to red!!! Those colors and its transformation sounds soo interesting. For some reason, this color reminds me of outter space, lol and 5 days chip free?! not bad at all!!! It reminds me of fall! But I totally understand where you're coming from with outer space too! That is really so nice color. Have a great day.